I was inspired to become a teacher in New York City because I knew that the state of education throughout the country is unequal. Some students are privileged while others face many hardships. I wanted to give all students the kind of education that engages them, is relevant to their lives, and that gives them the tools they need to fulfill their dreams. This is the kind of education that I got and believe that our country needs to make it available to all. What sort of challenges have you come across as a teacher with a dastaar? 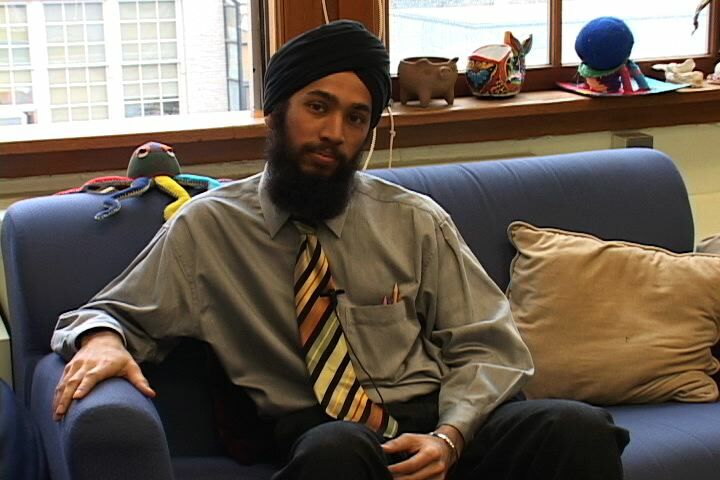 Wearing dastaar has presented challenges as a teacher. 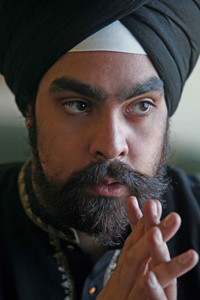 Few students, let alone teachers, know about Sikh beliefs or where we come from. Once, my picture on our faculty bulletin board was vandalized with racial slurs. Luckily, I received strong support from all my colleagues and my principal. As I gain more experience, I feel that the best way to counter the ignorance that we all continually face is to actively engage students in dialogue about religious and cultural differences and to show them the fundamental commonalities between different peoples. Instead of reacting to negativity in the world, it is more powerful to create positivity and to watch it spread. How do you deal with people, including students, who are not aware of your Sikhi? Among people who are familiar with Sikhi, I generally find I have positive interactions. When you are walking in the city and you hear a stranger greet you with "Sat Sri Akal!" you feel a certain compassion for humanity at being recognized so warmly. Having formed relationships with my students and given them the basics of my religion, want them to be able to go out in the world and greet other Sikhs with warmth and compassion. A little education about Sikhi can go a long way to creating community among people in the world. How do you feel a website like Khalsa Kids could empower Sikh children? One of the best things about Khalsa Kids is that it lets you know that you're not alone. 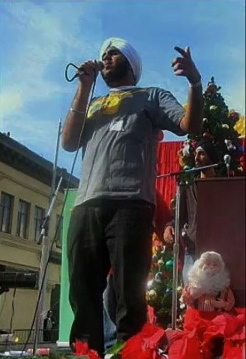 I spent almost all of my time in school being the only Sikh kid. 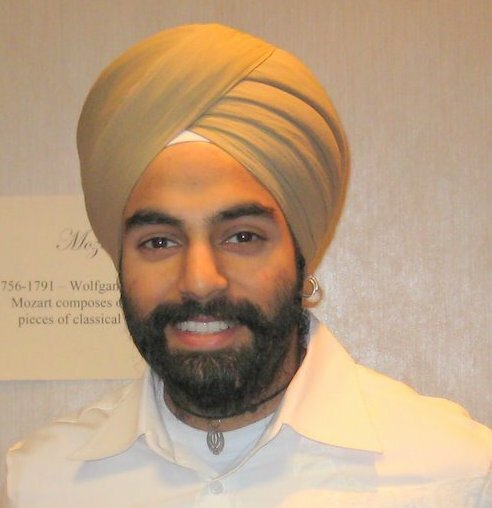 I never knew the kinds of things Sikhs in America were doing or how some were breaking barriers and beating the odds. I wish I had a resource like this because sometimes I could have used a shot of cultural self-esteem as a kid. Growing up, I knew that there were people who do do not understand Sikhi and would therefore ridicule our beliefs and heritage. Just as it does for every young Sikh, this treatment made me feel bad, But as I gained more experience and read more of our history, especially the history of Sikhs who stood up for religion against tyranny, I realized how much smaller my struggles were. I became determined to follow in their footsteps and to be proud of to be a Sikh because of the great history that we have.